Large power and water flow dials allow for precise control with gloved hands. One-touch selection between tank and external water source (if connected). Innovative water-cooled circuitry provides for stable operation. Streamlined, compact size with slim lightweight scaler handpiece. 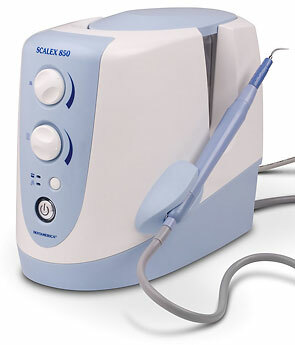 Compatible with all 30kHz magnetostrictive ultrasonic scaler inserts.